Philosophy, ethics and morality are blended into tea activity. People cultivate their morality and mind, and savor life through tasting tea, thereby attaining joy of spirit. 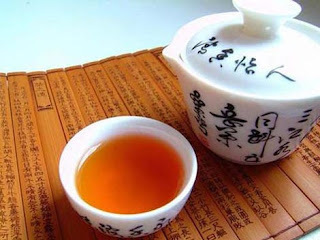 The quality of the tea is judged by the color, fragrance and flavor of the tea, the water quality and even the tea set. 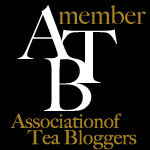 When tasting tea, the taster should be able to savor the tea thoroughly. While drinking attention is paid to environment, atmosphere, music, infusing techniques and interpersonal relationships. Clearness means cleanness, incorruptness, quietness and loneliness. The essense of tea art not only seeks the cleanness of the appearance of things, but also pursues the loneliness, tranquility, incorruptness and shame awareness of the mind. Only through drinking clear and pure tea in a still atmosphere can one appreciate the profoundness of drinking tea. Respect is the root of everything on earth and the way of having no enemies. People should show respect for others and be cautious of themselves. The meaning of harmony lies in form and method and that of joy in spirit and affection. Sipping bitterness and swallowing sweetness when drinking tea can enlighten one to the spice of life and cultivate a broad mind and far-sightedness, so that disputes between others and self disappear. The spirit of joy lies in that people are not pretentious and haughty, but dwell in mildness and nurture courteous conduct. Truthfulness requires truth and genuine knowledge. The supreme good is the whole that is formed by the combination of truth and genunine knowledge. The ambit of supreme good is to retain nature, to remove material desire without being tempted by advantages and disadvantages, to study the physical world to gain knowledge and to continually seek after improvements. In other words, people should use scientific methods to seek the complete sincerity of everything. The essence of drinking tea lies in enlightening capacity and conscience, so that everyone can live a simple life, express their ambitions and handle matters thriftily and virtuously in daily life, thus attaining the ambit of truth, good and beauty.